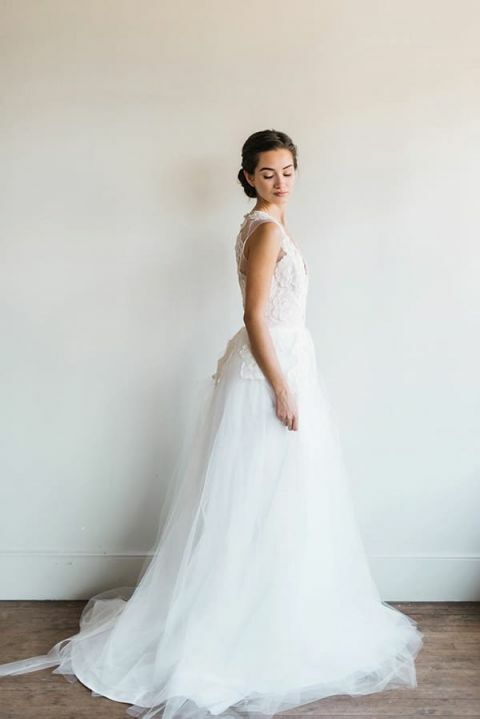 It may be Monday, but I have some serious eye candy to start off your week, thanks to this incredible bridal shoot feature the Petras Gown from Chaviano Couture. Rustic White Photography captured this gorgeous wedding day look that is an enchanting mix of graceful beauty and modern style! 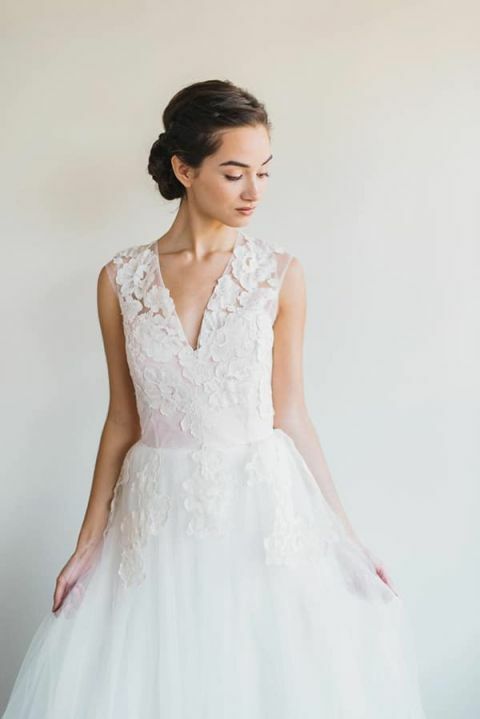 Chaviano Bridal Couture is known for truly stunning, ethereal wedding dresses, and the Petras gown is a gorgeous example! 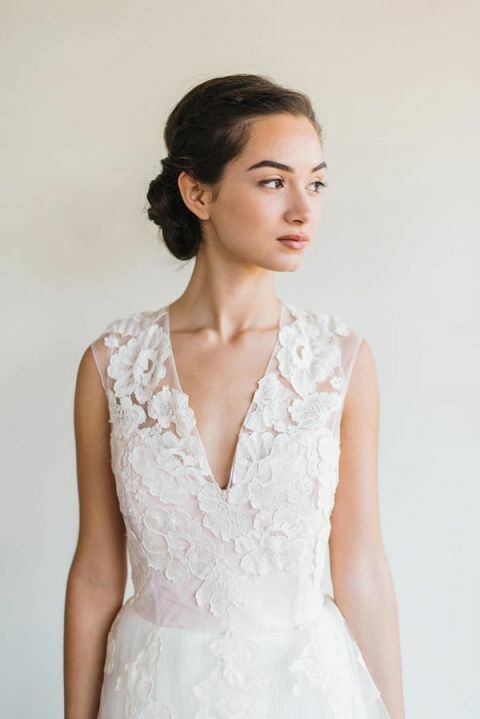 For this look, romantic floral lace adorns a v-neck sleeveless bodice above a sweeping chiffon skirt for a romantic silhouette. I love how the team considered the rest of the bridal styling to make a stunning, modern statement while complementing the gown itself! A bold bouquet of blush, coral, and fuchsia roses with trailing pink ribbons by Forage and Fleur makes a vibrant splash against the dress, while the loose, hand-tied blooms echo the large-format lace of the bodice rendered in bright colors. Delicate gold and crystal headpieces by Carlee Sizemore added a gorgeous metallic touch to the braided updo and natural makeup by Claudia Mejerle. The finishing touch is a wedding day look that is perfectly styled from head to toe, with the gown as a focal point!